Home › What's New › Divine intervention in Bangkok Bomb Blast? Divine intervention in Bangkok Bomb Blast? 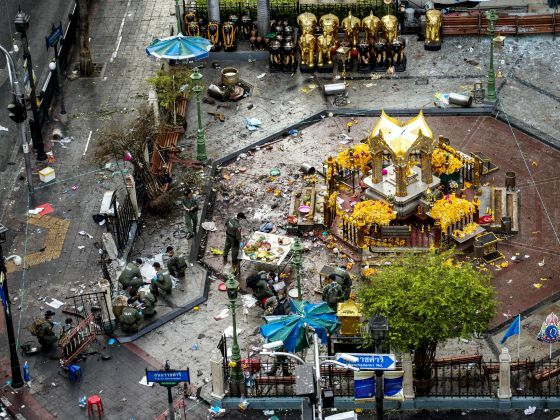 According to Thaivisa.com, the force of the detonation resulted in fatalities at the scene and caused damage on structures as far away as 50 meters. Buildings on the periphery of the blast such as the Police General Hospital, Gaysorn Plaza and the Hyatt Erawan Hote, some 50-100 metres away, suffered glass damage from debris and the force of the explosion. 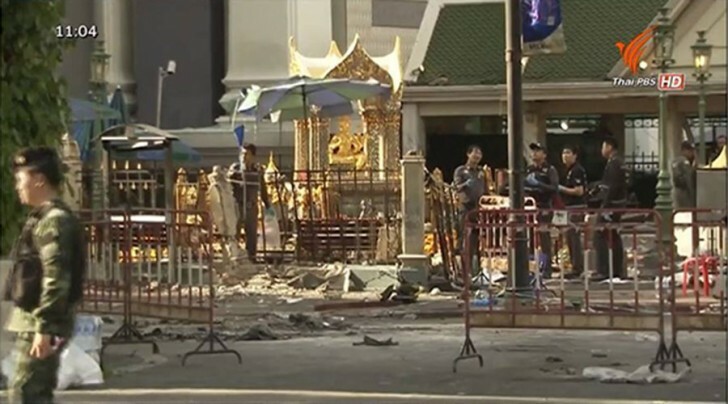 But surprisingly, the main Erawan Shrine which sits only five metres from the deadly explosion site, suffered only slight damage. Separately according to Todayonline, the Singaporean woman (Melisa Liu Rui Chun) killed by the blast in Bangkok on Monday evening (Aug 17) was understood to have been waiting outside the Erawan Shrine at Ratchaprasong, where her husband (Mr Ng Su Teck) was praying, when the bomb went off. Two other Singaporeans are being treated at King Chulalongkorn Memorial Hospital. They are Mdm Michelle Heng, 58, and her son, Mr Donovan Chan, 21. They were on holiday with Mdm Heng’s brother and his family, who returned on Monday. Askmelah is not a religious person but there is too much of coincidence, those that were praying were saved from the bomb blast — a miracle indeed! it will not be too much to attribute it to divine intervention. Askmelah loves Bangkok and Thai people very much and hopes that they can recover swiftly as usual.